One of my favorite displays at auto shows are the engine cutaways. I love seeing how the parts move together and what does what. 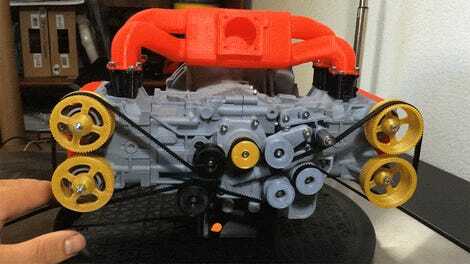 Imagine my delight when I saw this video of a working, 3D printed General Motors LS3 V8 engine. All the parts fit together just like in a real LS3, too. I wonder if he’ll 3D print an RX-7 next and drop the LS3 into it.